Jeff Atwood is about to drop off from page 1. 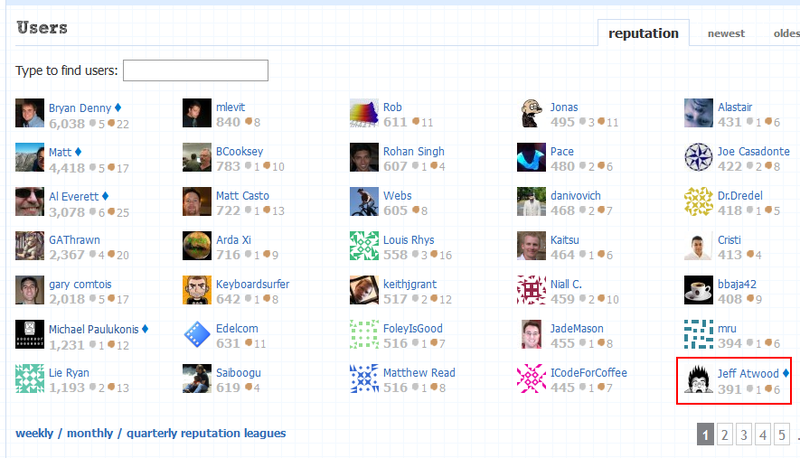 This is interesting because 1) he's a founder 2) it shows how other, active users are getting rep points! Browse other questions tagged discussion reputation beta users . Who is talking about Android.StackExchange.com?